I was looking for smoothie-type recipes for Halloween: here are a few chocolatey concoctions I found on the internet. Cook the oats, salt, and milk (either on the stove or in the microwave). Meanwhile, blend the pb and banana. Then add your vanilla, sweetener, and 1/2 of the cooked oats to the blender and re-blend. Stir in the rest of the oats. You can blend all the oats if you prefer, but if you like the chewiness, leave some un-blended. Dark, murky, scary … it’s like something straight out of Tim Burton’s The Nightmare Before Christmas. 3. Optional: Right before I eat this mess, I sprinkle on about 1/2 a little packet of the chocolate super food powder. Then I drizzle on about 1/8 cup almond milk. I don’t stir either of these things in. I love the unstirred, powdery texture. A swampy concoction, fit for a Monster. Combine all ingredients and cook, uncovered, over medium-high heat for 5-7 minutes. When it starts to bubble, stir occasionally. Add additional sweetener and liquid as necessary. Add water for the right consistency Blend on high for 1 minute! Enjoy!! Blend on high for 1 minute, and voila – A refreshing summer drink! drink cold or at room temp. In a blender, place grapes, blueberries, banana and milk; process for 30 seconds or until completely blended. Add flax seed and protein powder; blend for 15 seconds or until incorporated. Add ice or water for proper consistency. Depending on what you add, this smoothie can be anywhere from 500-1200 calories. Also, think about adding a teaspoon of honey to any smoothie/shake. Perfect Parsley – a Green Boost for your system! Blend up all ingredients together. Blend up together for your healthy smoothie! For additional calories, can have a Boost Plus (adds 120 calories, or two entire Clementines for total 72 calories), or an entire medium banana which is 75 calories. If you add in these items, it would make the total calorie count 682. Here is a favorite Boost Smoothie. This smoothie is 900-1200 calories, depending on what you add. If you need higher calories, be sure to drink Boost Plus, not regular Boost. Blend it all up in a VitaMix blender, and voila, enough calories and nutrition for 5-6 hours. Add-ins: tablespoon of Organic Virgin Coconut Oil for another 200 calories (diet tool: while this is healthy fat, for some reason, every time I use this coconut oil I lose more weight, so try it out and let me know if the same thing happens to you). Get creative and add fresh strawberries, blueberries, clementines, red grapes, apricots, etc. Dessert add-ins: I’ve added (not all at the same time!) a homemade brownie, coconut milk ice cream (usually chocolate, choc-pnut butter, or choc mint flavors), triple chocolate pumpkin pie to a vanilla Boost and blend up, or add in some Mocha Kahlua for a nice treat. It’s a little bit of heaven! I needed to find alternatives for protein and energy supplements listed in cancer treatment materials and recommended from nutritionist. Commercially available “protein drinks” are labeled lactose-free, but are not dairy-free. I didn’t think there was a difference until I had a most unpleasant experience at a restaurant after 3 days of drinking one of the commercial drinks. My wife Susan developed a “Protein Shake” for me. Below is how she made them, and (as Tony the Tiger says) they are GREAAAT! Protein powder Mediterranean Wellness Shake is made by Pure Trim and was special order on line, not in stores, and on the expensive side ($100 for 3 boxes of 10 servings each = $3 per serving). Many ingredients you can tell by package, but mainly vegetable pea and brown rice protein and 500mg of calcium. Key thing is no dairy, soy, whey, aspartame and sucrose. Rice Dream, fruits and juices you can find in most stores (e.g. – Whole Foods). You may also add fruit juices instead of rice milk, but it scorched my throat due to acidity so we stayed away. Also experimented with and avoided most other fruits like citrus, even apples and others unable to tolerate. My wife also found in the supermarket a protein drink made by Odwalla called “Super Protein”. There are 8 fluid ounces (2 servings) per container = 380 calories and 18grams of protein. I preferred Vanilla because I reacted to chocolates stinging my throat. That drink is mainly soy milk, oatmeal milk, bananas and almonds. 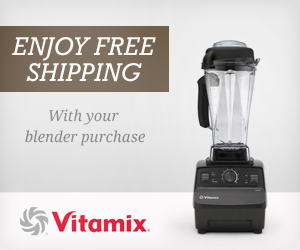 Blend everything in the Vitamix for a smooth warm drink. These liquid recipes may be helpful to those that have difficulty swallowing, are unable to eat solid food and/or use a feeding/g-tube. If you have a favorite liquid recipe book, smoothie, soup or other creative concoction, please email it to us at Info@HNCSupport.org for submission on this page. Juven was a big help to me during my treatments. It’s a powder amino acids supplement to put in your water. I took a bottle of Juven water with me everywhere I went, especially dancing (my hobby). try these alternatives to milk: Almond Milk, Rice Milk, Oat Milk, Hemp Milk, Coconut Milk. Oh Yeah! Nutritional Shake — high protein and good calorie count 220 cal 14 oz bottle. Look online for a store near you, or order by the case online. Oat Shake by Simpli (loved the chocolate flavor, found the fruit flavors too acidic), used as a snack 120 cal 8 oz. Found it at Gelson’s originally, but they don’t sell it any longer. Bolthouse Farms Protein Plus (again, loved the chocolate) 190 cal 8 oz. most health food stores and some markets carry this line, including Target. Some favorite soft food recipes and other recipes posted here by HNC Patients and Survivors. Be sure to email us your favorite recipes for inclusion. 2 large eggs – add a couple tablespoons milk and blend. Add salt/seasoning for taste. Scramble very loosely in 1/2 tablespoon butter or oil. Add-ins: whatever you can handle. I’ve added in fresh avocado and goat cheese; smoked salmon and goat cheese; very soft bread stuffing. If you make the bread stuffing yourself, try using either egg bread or Hawaiian sweet bread. And drink lots of water to get it down as smoothly as possible. Sitr in 1 tablespoon of honey. There are many books that contain fresh juice and smoothie recipes, many of which help to boost a sluggish immune system, and several with full and tasty all-liquid meals. Fresh Vegetable and Fruit Juices by N.W. Walker, D.Sc.